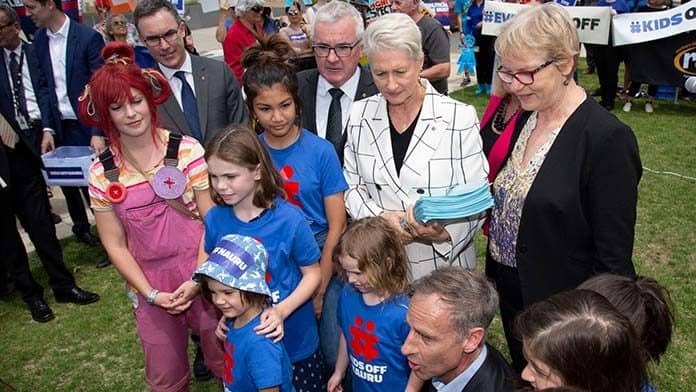 Kerryn Phelps’ attempt to pass the Urgent Medical Treatment Bill amendments has stalled in the Senate. The Morrison government, backed by One Nation and Cory Bernadi, abused parliamentary processes in the Senate while the government closed parliament for the year to avoid voting on the Bill. The amendments would have brought all children and families from Nauru, and provided for the medical transfer of any adult (on Manus or Nauru) on the advice of two treating doctors. Labor’s vote against the government refugee policy is a small but not insignificant step away from its years of bipartisan support. The Home Affairs Minister does retain a veto over transferring anyone with a prior adverse security assessment. If the Minister refuses a medical transfer, the case must be referred to an independent health committee within 24 hours, and they must make a decision within 24 hours. With the Bill stuck in the Senate, medical cases will still need to be prepared by lawyers and argued for one by one. The fight to get everyone off Manus and Nauru is still essentially a political fight, not a legal one. But the cracks in the offshore detention policy that began with getting kids off Nauru are getting wider. Regardless of the outcome of the bill, the movement has taken some important strides forward over the last few months. The discussion is no longer just about getting the children and their families off Nauru. What is now at stake is the future of offshore detention. In the days before the bill was tabled in parliament, over 700 actors and arts professionals signed a letter to Morrison and Shorten that called for, “the people held in the offshore detention centres to be brought to safety”. The Medecins Sans Frontieres (MSF) report, “Indefinite Despair,” reveals the scale of the mental health crisis, not just among families, but right across Nauru. Their report shows that among 208 refugee and asylum seeker patients, 60 per cent had suicidal thoughts and 30 per cent attempted suicide. Amnesty International and the Refugee Council of Australia have produced another report, “Until when: The forgotten men of Manus Island,” that documents the horrors of Manus Island, where attempted suicide has become a daily occurrence. The teachers’ walkouts and rallies in Brisbane and Melbourne (see opposite page) have set an example for the kind of union action the movement needs to build in the New Year, against Morrison and against a likely Labor government that will still be committed to offshore detention. All eyes will be on the Labor conference on 16, 17 and 18 December. However, it is already clear that Labor’s number crunchers will ensure that existing policy of turning back asylum boats, and support for offshore detention, is retained. Shorten has already said that a Labor government intends to get all asylum seekers and refugees off Nauru and Manus Island, but that position has a contradiction that he can’t resolve. He can’t say where the refugees are going to find a safe country. One hundred and fifty should be able to go to New Zealand, but that leaves hundreds of others that Shorten has no answer for. That’s why “Bring Them Here” needs to be a demand that the movement continues to push for. As at previous conferences, there will be a fight over some aspect of Labor’s anti-refugee policy, which will show that around 49 per cent of conference opposes Labor policy. If the left motion is defeated it will only be because some left unions vote against their union’s policy to protect Shorten and the party leadership’s electoral strategy of maintaining bi-partisan support for offshore detention. But regardless of the vote, Shorten can’t claim a mandate. The contradictions in Labor’s policy will grow wider in the aftermath of the Labor conference, as the demands to bring them here grow louder. The #KidsOffNauru campaign has brought together the truth-telling, the advocacy, the protests and legal action, combined with the Liberals’ political crisis, to deal a major blow to offshore detention. The scene is set for the next phase—the fight to create a crisis for Labor, to close Manus and Nauru and bring the refugees here with permanent visas.